Helicobacter pylori bacterium, or H. pylori, is considered the main cause of stomach ulcers; it is also linked with stomach cancer and stomach inflammation called gastritis. Now, researchers at McMaster University have found that when H. pylori are eliminated, the risk of gastric cancer is also reduced. The systematic review was recently published for the Cochrane Library. In the studies reviewed, the H. pylori infection was eradicated with a short course of common drugs. It is often treated with antibiotics such as amoxicillin, clarithromycin, metronidazole, and tetracycline. They are usually used in combination with proton pump inhibitors that prevent stomach acid production. The researchers reviewed randomized controlled studies published between 2011 and 2013; studies consisted of trials that compared a placebo, or no treatment, with a one- or two-week treatment of H. pylori. The six trials included 6,497 asymptomatic H. pylori-positive adults who were followed for two years. The trials also included at least two gastric cancer cases. In the studies, 2.4% of the participants who were given a placebo or no treatment developed gastric cancer. 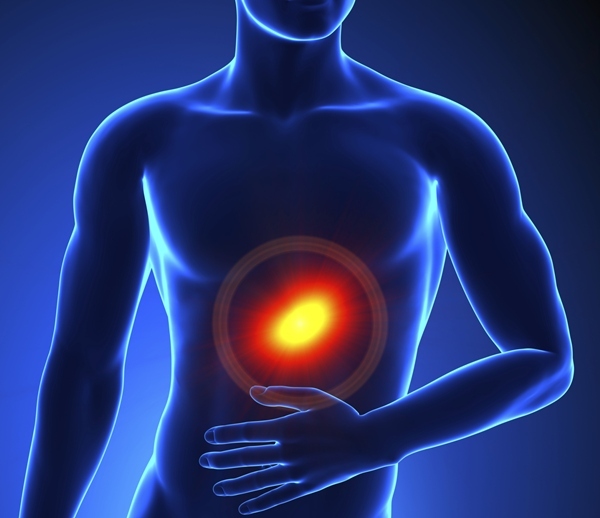 In comparison, only 1.6% of those treated for H. pylori were diagnosed with gastric cancer. Moayyedi, P., et al., “Helicobacter pylori eradication for the prevention of gastric neoplasia,” Cochrane Review, published online July 22, 2015, doi: 10.1002/14651858.CD005583.pub2. DiMarino, M.C., “Helicobacter pylori infection,” Merck Manuals web site; http://www.merckmanuals.com/professional/gastrointestinal-disorders/gastritis-and-peptic-ulcer-disease/i-helicobacter-pylori-i-infection, last accessed July 23, 2015. “Targeting bacteria causing ulcers may prevent stomach cancer,” ScienceDaily web site, July 22, 2015; http://www.sciencedaily.com/releases/2015/07/150721193856.htm.